Saturday, 31 May 2014 has become quite a special day on the ACTIVATE! calendar to date. For the first time, we managed to host three ACTIVATE! Exchanges on one day, in three cities. 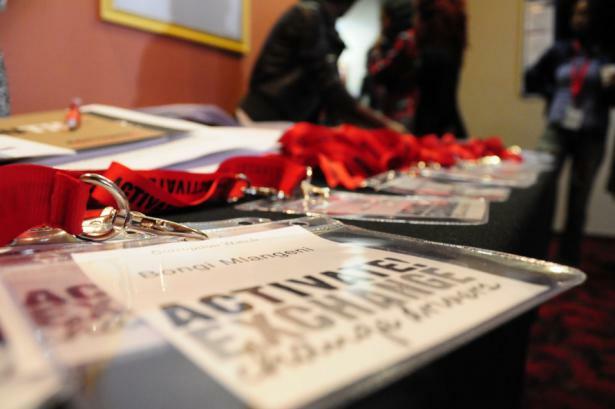 Activators in Mpumalanga and the Free State added their voice to the #ActivateExchange conversation at their own events. The main questions framing the dialogue were: “How can young South Africans hold public representatives accountable to secure effective governance and build a better South Africa? “ and “What can be done to support these young people?”. The sentiment across the conversations in the different cities was, It is not just a citizens’ right to interact with the correct channels in government to ensure we are respected as contributors to the future of our county, and to know how to hold government accountable, but an undisputable obligation. The guests also reflected on the context of using the vote as a means of taking responsibility and making votes count by keeping track of government performance, our own contributions as means of claiming our obligation and being proactive. More than 1345 posts were generated on Twitter and Facebook across the different cities. This platform has proven to be quite powerful as a means of expanding the reach of conversations. These Exchanges provide more than just dialogue, they are an opportunity for young South Africans to connect with thought leaders. Activators are encouraged to arrange their own Exchanges to bring these thought-provoking conversations right into their communities. The ACTIVATE! team is also ready gearing up for the next Exchange which will be taking place on 23 August 2014 on the topic of Identity and Leadership.